Beware the Trojan...elephant? Atlantic City's architectural marvels, including a building shaped like an elephant, draw curious stares and outright awe. Postcard-worthy buildings throughout Atlantic City depict quintessential Americana, mimic famous international landmarks and create a sophisticated skyline. 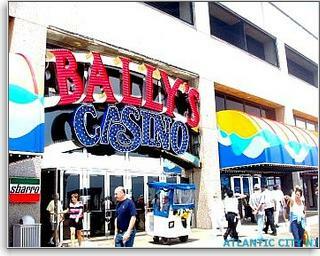 From antiquity to modern times, Atlantic City structures dazzle even the most cosmopolitan visitor. Lucy the Margate Elephant was built in 1881 of one million pieces of wood covered with gray tin. The wide-eyed wooden beast sports a howdah on her ample back--a covered pavilion emulating those shouldered by royal Thai elephants entrusted with transporting royalty. Standing 65 feet high, the National Historic Landmark is toured by thousands of people who climb up inside the edifice each summer. And like the Trojan horse, Lucy is full of surprises. A unique gift shop offers souvenirs such as ceramic elephant teapots, elephant baby booties, T-shirts and swizzle sticks. This quixotic landmark is the only remaining example of zoomorphic architecture left in the United States. Lucy was recently restored to her former glory, including her "gastronomic pink" interior, since the locals view her as one precious pachyderm. Two-ton limestone elephants adorn another Atlantic City building. The Taj Mahal is the crown jewel of Donald Trump's three Atlantic City casinos. The first billion-dollar casino built in the city, the palatial building looks remarkably like the actual Indian masterpiece. Its setting right on the water's edge creates the illusion of being in a remote, exotic locale. The motif is carried throughout the casino, whose floor is designed with wild colors. The hotel's hospitality suites are decorated in jungle animal themes: zebra, tiger, giraffe, lion, camel and, of course, elephant. The stylish poker room is another interior decorating feat, and was featured in the movie "Rounders" starring Matthew Damon and Edward Norton. From classical eastern homage to design to bold, futuristic buildings, Atlantic City's casinos run the architectural gamut. Fantasy themes abound. Caesar's Atlantic City recreates the sculptures, columns and sleek marble facades of the Roman Empire. Harrah's Showboat looks like a riverboat rooted to the shore. High stakes poker is played around the clock in tall, glitzy buildings that even from the outside look ready to house high rollers. 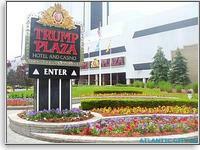 The Trump Plaza alone towers 39 stories above the Atlantic Ocean and is a recognizable contribution to the skyline. "Brass, glass and class," is how Mr. Trump himself described the building upon its grand opening. Even Atlantic City's only shopping mall is designed in the shape of an ocean liner. So next time you plan on traveling here, bring your poker face and bring your camera. Sure, you could simply tell your friends about these places when you return home. But without photographic evidence, they might not believe you!